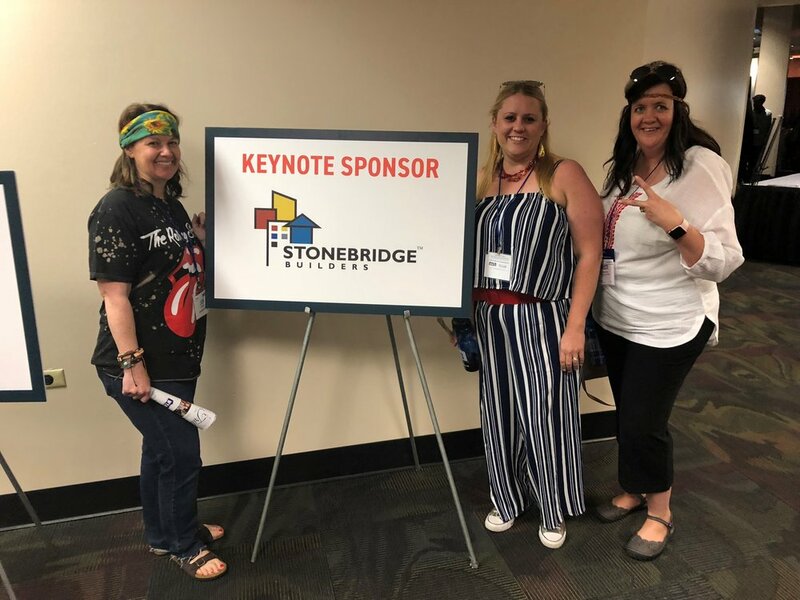 On May 23rd, Stonebridge Builders was well represented at the Apartment Association of Metro Denver's Annual Trade Show at the Denver Mart. This year's overall theme was "Through the Decades" with each row of booths representing a different decade. While initially our Sales & Marketing team wasn't thrilled with the idea of having to do the 70s (they grew up in the 80s and 90s!) they certainly embraced their chosen theme of "That 70s Show" turning it into "That Stonebridge Show." 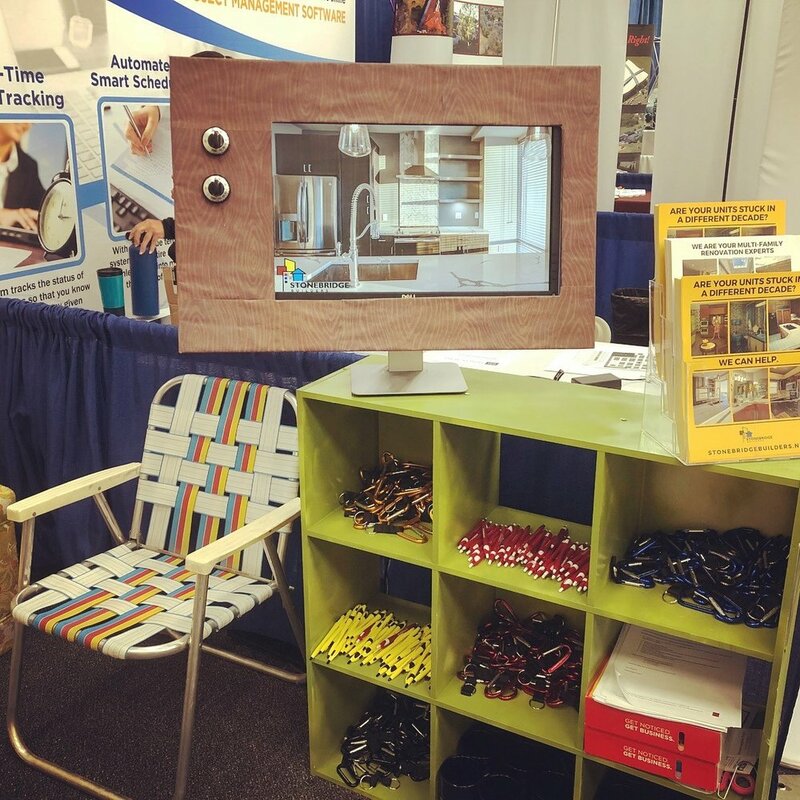 And their work did not go unnoticed by their peers, attendees, and the AAMD. 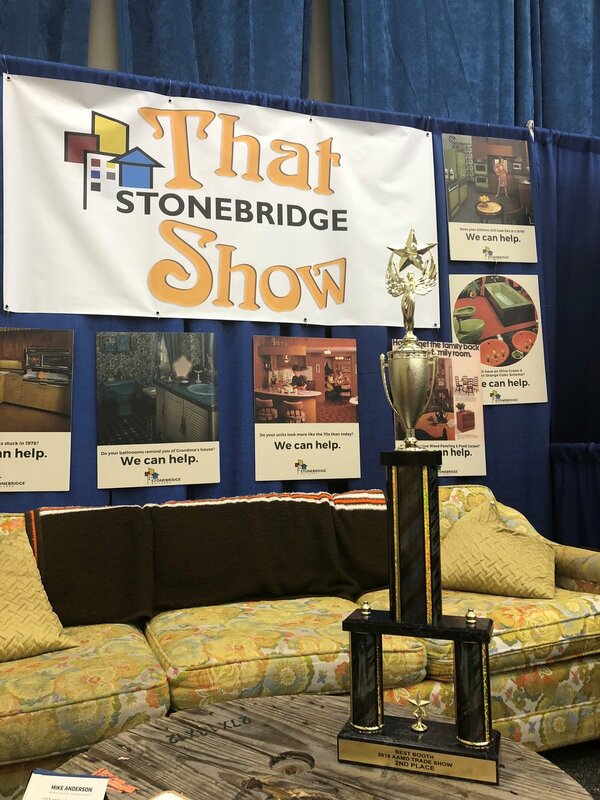 Stonebridge Builders is proud to announce that we won 2nd Place Overall for the Best Booth! How did we do it? Lots of collaboration between our sales department and our marketing coordinator (aka the sales team had an idea, and Amy found a way to execute it!). We found a true vintage couch on Facebook Marketplace, a large wooden spool for a table, our Lead Estimator Eric still had a folding lawn chair, a fresh coat of avocado green spray paint on a cube shelf that was going to be trashed anyway, and That 70s Show basement was created! The rest was all in the details. Amy's computer screen doubled as a "wood paneled" tv (foam board with scrapbook paper and oven knobs) with a homemade coat wire antenna which played a slideshow of our best renovations. The ugly orange and brown blanket is secretly a Cleveland Browns blanket and you can find the gold pillows in the Stonebridge lobby (they actually look good and modern!). 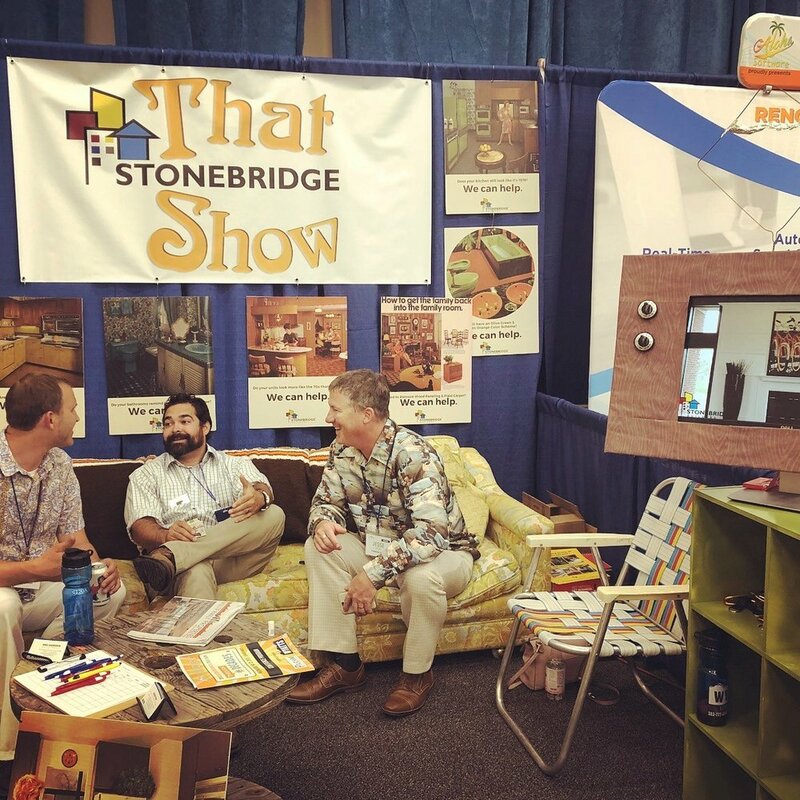 Our foam board posters feature some of the ugliest kitchen and bath elements we could find from the 1970s letting attendees know that Stonebridge can transform even the ugliest and most outdated multi-family residences into something modern and beautiful! 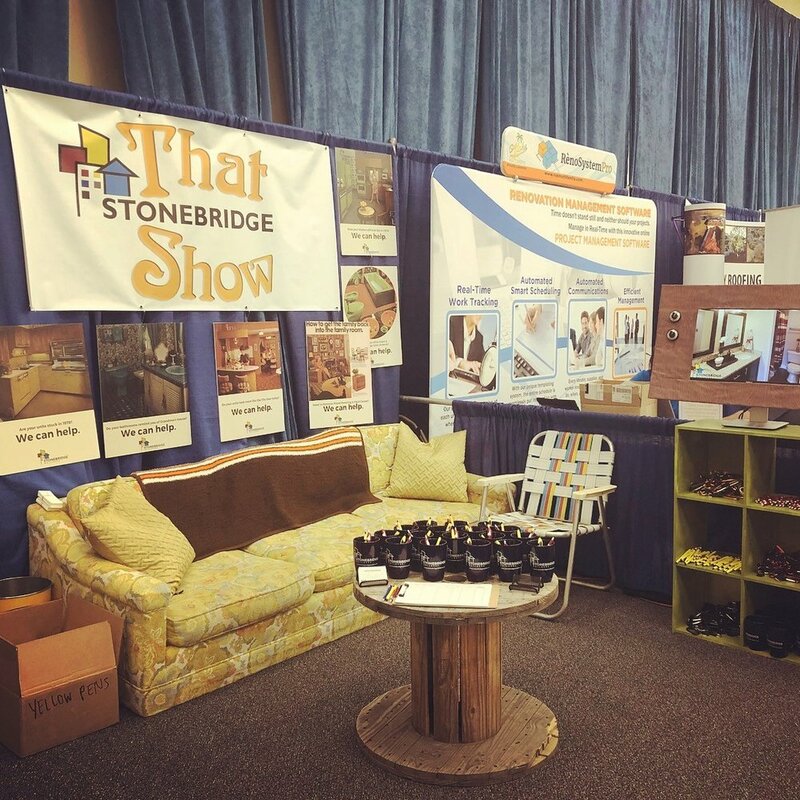 Attendees picked up Stonebridge coffee mugs, carabiners, pens, and reusable grocery totes. They also registered to win two tickets to the Journey/Def Leppard concert at Coors Field on July 21st. 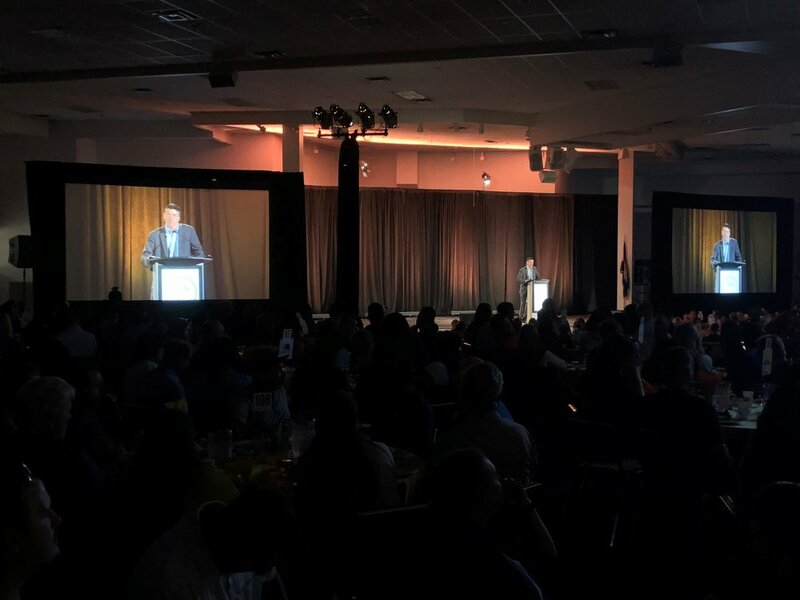 Stonebridge Builders was also proud to be a presenting sponsor at the luncheon with keynote speaker John O'Leary. John was an amazing speaker with an inspirational story to tell after being given a 1% chance to live after having 100% of his body burned in a house fire when he was 9 years old. His outlook on life was so positive and moving. In addition to taking some educational classes, we also had fun networking with colleagues we don't get to see that often. Some of them had some amazing booths! Our favorites included themes with Toy Story (amazing costumes! ), pinball games, photo cutouts, Tip-A-Troll game, M*A*S*H, and the Hustle dance floor! We are already looking forward to next year... we can't wait to see what our Sales and Marketing Team dreams up for the Chili Cookoff in October and the Trade Show in 2019!